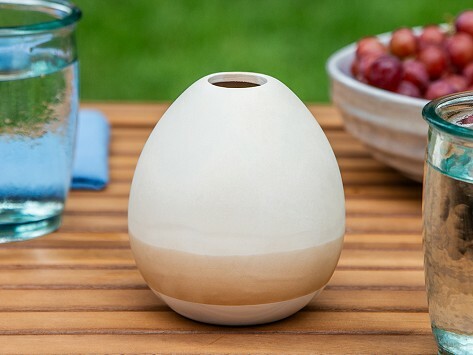 Hang or place this egg-shaped mosquito repellent diffuser in your outdoor space to naturally protect against pests. When it is filled with its signature DEET-free repellent made from lemongrass oil and geraniol, it will ward off mosquitoes and other bugs up to around 200 square feet—the perfect amount of protection for decks, patios, and porches. Dimensions: With netting: 4" x 12" x 5"; Without netting: 4" x 6" x 5"